be soooo delicious that you just can’t put your fork down! When something satisfies all three of those, there’s a good chance it’s getting added to the regular rotation. 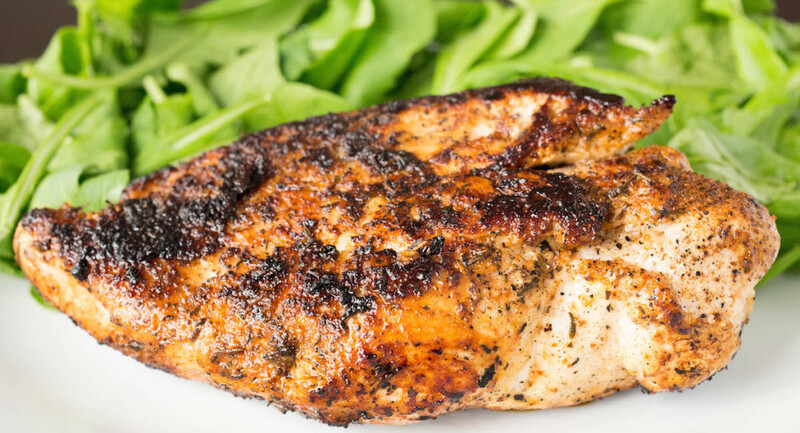 This easy blackened chicken recipe is all of those things and more. Because it’s a protein, it can be added to so many dishes. I love blackened chicken salad, pasta, zoodles, or even stuffed between two pieces of butter lettuce as a low carb sandwich. However, this blackened chicken has no problem standing on its own. For convenience sake, I mostly serve it as is next to a bed of greens. This makes it a very filling and guilt-free meal, as it has no-carb/no-sugar. Perfect!
. You may also want to salt your chicken a little, which I would recommend unless you’re trying to cut sodium.
. This will help us get the crispy sear that is a staple of blackened meats. We really do eat this chicken more than any other dish. I hope if you make it, your family enjoys it as much as we do. If you incorporate it into another recipe, such as a salad or pasta, please let us know how it went so we can try it! Begin melting butter in cast iron skillet over medium heat. Season both sides of your chicken with Poultry Magic and a little salt (if desired). 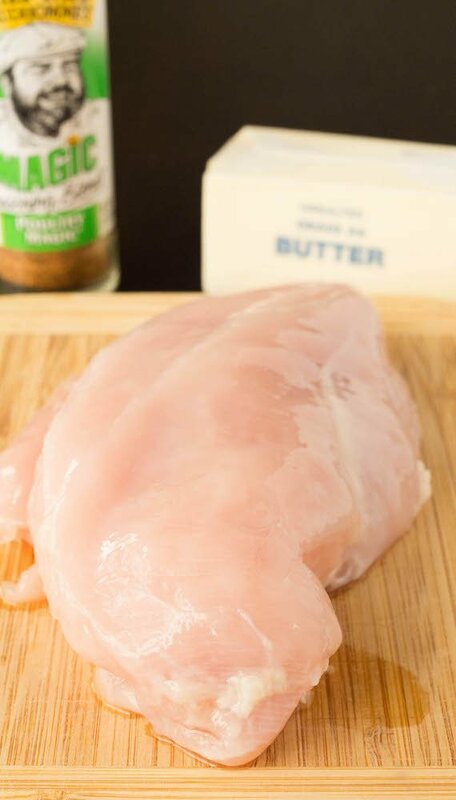 When the butter has melted, place the chicken in the skillet. Do not move after you place it down (this could mess up the crust we want to form). Cover with a lid. Cook three to four minutes, then flip the chicken over. Cook another 3-4 minutes. Check temperature (I use an instant-read thermometer) and continue cooking, flipping every few minutes, until the chicken is 165° in the thickest part. 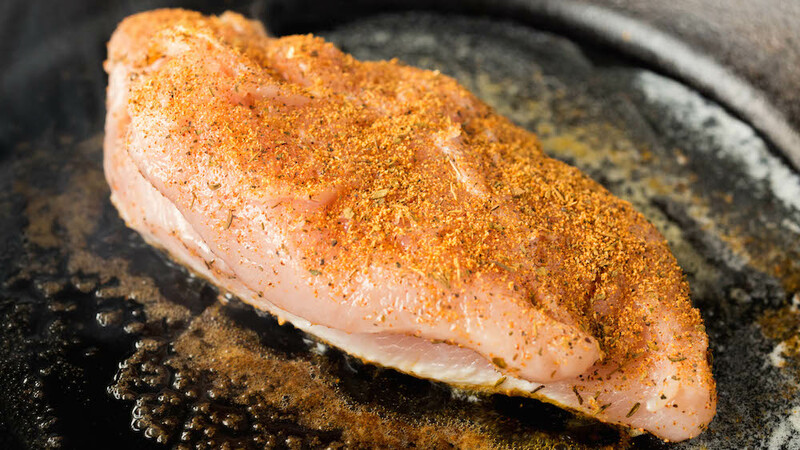 Remove from cast iron skillet and allow the chicken to rest 5-10 minutes, then serve. Sometime the simples recipes are the best! 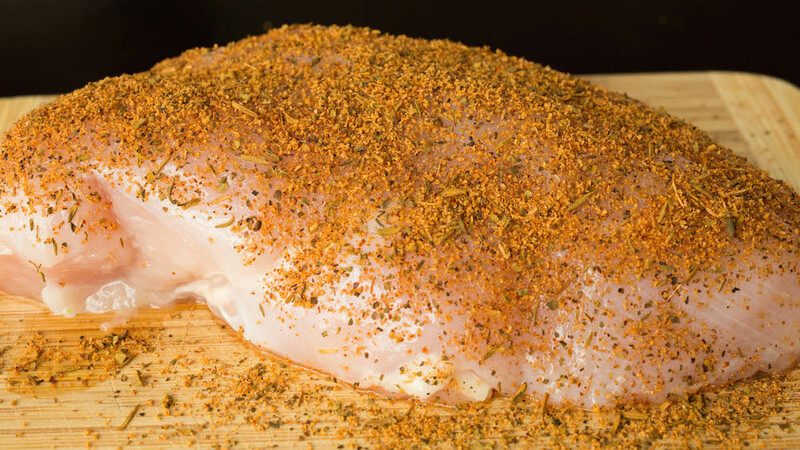 I have tried this seasoning and it is fantastic! Thanks for sharing. Yummy. That blackened chicken looks fabulous! It looks both moist and delicious! I will have to get myself some of that seasoning!! i lovee me some simple delish recipes for weeknight. I can practically taste the crunch on that chicken, and I’m imagining all the dishes I’d add it to! Sounds so easy – and delicious! I love an easy and simple chicken dish because of the versatility! I can see myself making this recipe to add the chicken to a salad, pair with my pasta or as the main course with some of my favorite sides! I love the simplicity and it looks so appetizing!! 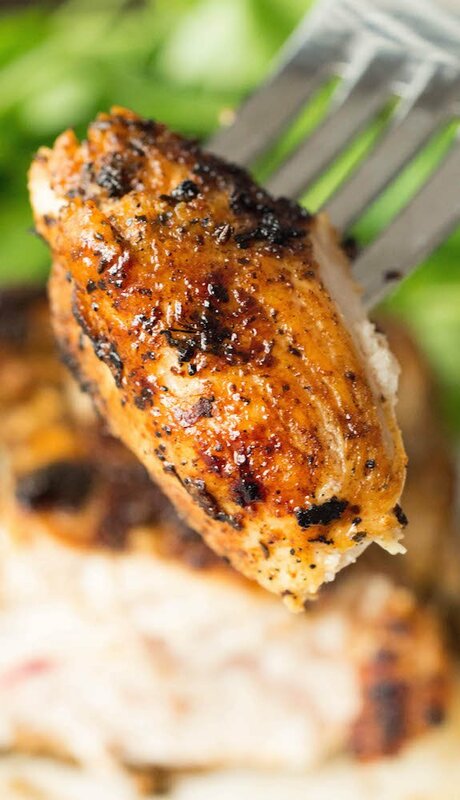 I’m always looking for quick and flavorful weeknight chicken recipes. 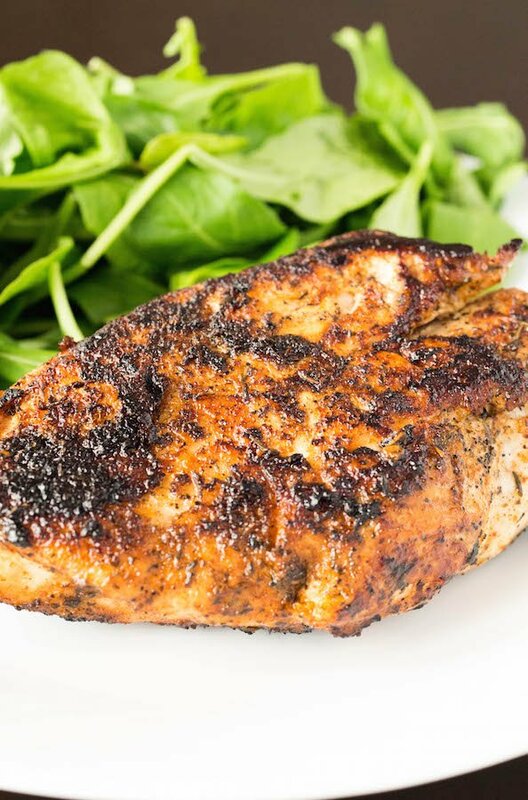 This blackened chicken looks divine! I’ll have to look for the poultry magic seasoning at my market. This looks like a perfect weekday meal for my family. It looks soooo good! Wow, this is easy! It looks delicious and healthy too, I can see why you eat this all the time. Saving this for later! You can’t beat a quick and easy dinner option. This looks great!